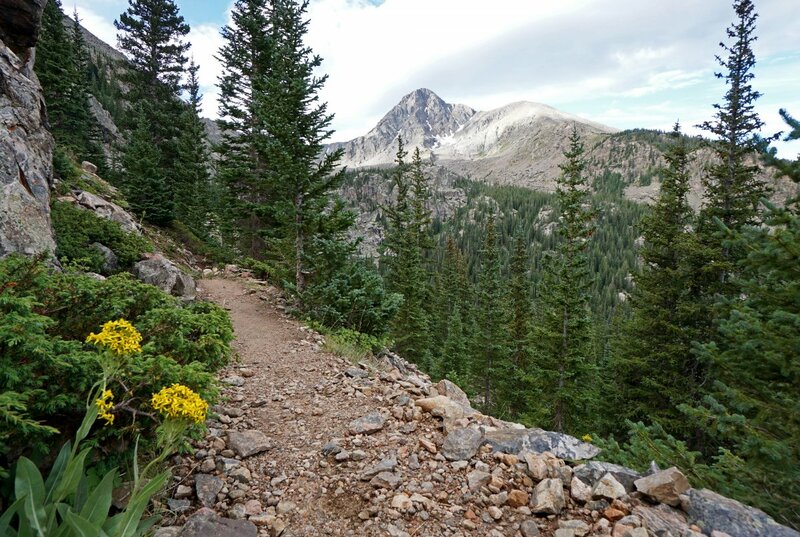 As the summer settles in for more consistent spells of warm weather, high country trailheads become ever-more appealing respites from the swelter. Trails that have vanished for the winter beneath nourishing snows wait to greet you like old friends, or perhaps new ones that keep you exploring unfamiliar terrain. 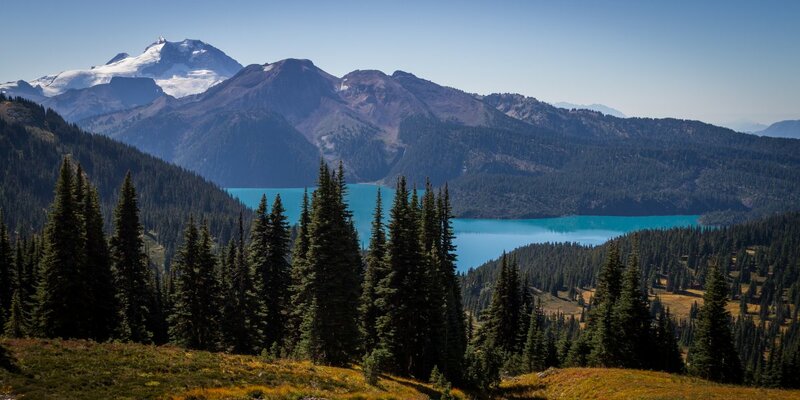 Leaving the lower elevations behind for these seasonally accessible areas means cooler, fresher air in your lungs, clear night skies, and with any luck, a refreshing mountain lake in which to swim. There's no shortage of higher elevation adventures to peruse on Outdoor Project, but here's a little sample to start the process. Remember that the Nearby Adventure section at the end of each adventure page can help you plan an itinerary of additional and similar adventures. And don't forget to tell us about your experience in the trip comments. Happy hiking! Getting some elevation above Garabaldi Lake on the Black Tusk Hike. Photo by Duncan Sadava. Black Tusk Hike. Total Distance: 30.00 km (18.64 mi). Trailhead Elev. : 585 m (1,919 ft). Net Elev. Gain: 1,625 m (5,331 ft). Wedgemount Lake. Total Distance: 14.00 km (8.70 mi). Trailhead Elev. : 800 m (2,625 ft). Net Elev. Gain: 1,220 m (4,003 ft). High Divide Loop in Olympic National Park. Total Distance: 18.10 mi (29.13 km). Trailhead Elev. : 1,900 ft (579 m). Net Elev. Gain: 3,574 ft (1,089 m). Burroughs Mountain Hike in Mount Rainier National Park. Total Distance: 6.30 mi (10.14 km). Trailhead Elev. : 6,400 ft (1,951 m). Net Elev. Gain: 1,000 ft (305 m). Cyclone Lake. Total Distance: 16.00 mi (25.75 km). Trailhead Elev. : 1,200 ft (366 m). Net Elev. Gain: 4,300 ft (1,311 m). Broad Canyon: Betty, Goat + Baptie Lakes. Total Distance: 12.40 mi (19.96 km). Trailhead Elev. : 7,800 ft (2,377 m). Net Elev. Gain: 3,230 ft (985 m). Marten + Kelly Lake, Bench Creek Divide. Total Distance: 7.80 mi (12.55 km). Trailhead Elev. : 6,863 ft (2,092 m). Net Elev. Gain: 693 ft (211 m). High Ridge Trail. Total Distance: 8.20 mi (13.20 km). Trailhead Elev. : 7,720 ft (2,353 m). Net Elev. Gain: 2,487 ft (758 m). 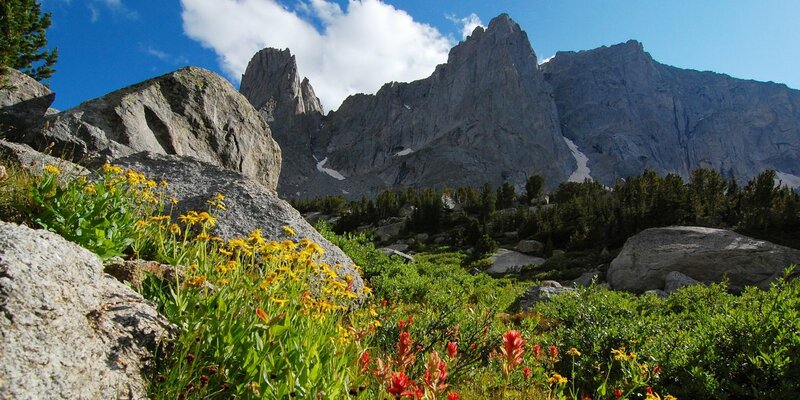 Alpine sunflower and Indian paintbrush flower in the Wind River Range. Photo by Justin Michael. Taggart + Bradley Lakes. Total Distance: 6.50 mi (10.46 km). Trailhead Elev. : 6,625 ft (2,019 m). Net Elev. Gain: 585 ft (178 m). Cirque of the Towers. Total Distance: 19.00 mi (30.58 km). Trailhead Elev. : 9,100 ft (2,774 m). Net Elev. Gain: 1,800 ft (549 m). Timberline Trail in the Mount Hood Wilderness. Total Distance: 39.00 mi (62.76 km). Trailhead Elev. : 5,960 ft (1,817 m). Net Elev. Gain: 4,060 ft (1,237 m). Middle Sister in the Three Sisters Wilderness. Total Distance: 16.40 mi (26.39 km). Trailhead Elev. : 5,290 ft (1,612 m). Net Elev. Gain: 4,757 ft (1,450 m). Glacier Lake. Total Distance: 27.00 mi (43.45 km). Trailhead Elev. : 4,659 ft (1,420 m). Net Elev. Gain: 4,000 ft (1,219 m). Lassen Peak. Total Distance: 5.20 mi (8.37 km). Trailhead Elev. : 8,500 ft (2,591 m). Net Elev. Gain: 1,919 ft (585 m). Mount Whitney via Whitney Portal. Total Distance: 22.00 mi (35.41 km). Trailhead Elev. : 8,360 ft (2,548 m). Net Elev. Gain: 6,100 ft (1,859 m). Rae Lakes Loop. Total Distance: 42.00 mi (67.59 km). Trailhead Elev. : 5,035 ft (1,535 m). Net Elev. Gain: 6,943 ft (2,116 m). Mount Superior + Monte Cristo. Total Distance: 6.20 mi (9.98 km). Trailhead Elev. : 8,640 ft (2,633 m). Net Elev. Gain: 2,492 ft (760 m). Kessler Peak Loop Hike. Total Distance: 5.00 mi (8.05 km). Trailhead Elev. : 7,493 ft (2,284 m). Net Elev. Gain: 2,953 ft (900 m). Mount Aire Hike. Total Distance: 3.50 mi (5.63 km). Trailhead Elev. : 6,686 ft (2,038 m). Net Elev. Gain: 1,987 ft (606 m). Mount of the Holy Cross. Photo by Louie Traub. Zirkel Circle Hike. Total Distance: 11.20 mi (18.02 km). Trailhead Elev. : 8,480 ft (2,585 m). Net Elev. Gain: 2,400 ft (732 m). Mount of the Holy Cross. Total Distance: 12.00 mi (19.31 km). Trailhead Elev. : 10,314 ft (3,144 m). Net Elev. Gain: 3,628 ft (1,106 m). Blue Lakes. Total Distance: 10.00 mi (16.09 km). Trailhead Elev. : 9,292 ft (2,832 m). Net Elev. Gain: 2,427 ft (740 m).